This has to be one of the more exciting products we have seen in the store this year. 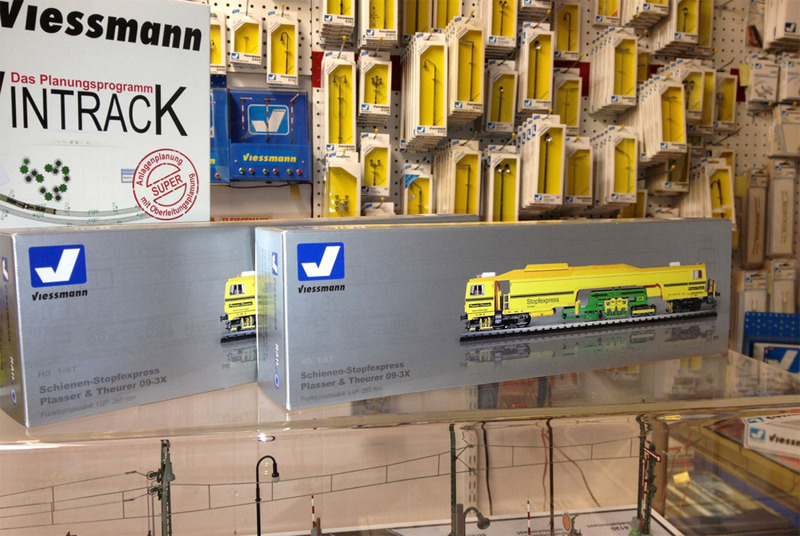 The Viessmann 2906x series are detailed and animated scale models of the Plasser & Theurer 09-3x Stopfexpress modern track stabilizer. This track maintance car aligns rail and tamps and levels track & ballast in one continuous operation. The prototype can be found on modern railways around the world. The model features full digital/dcc control over movement, lights, sound and the moving tampers on the car. 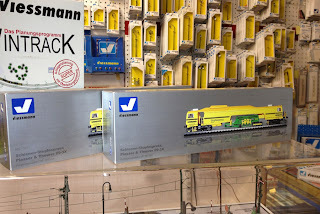 It is available for both standard two-rail DCC and three-rail Marklin AC. It is a great way to add a new point of interest to your HO layout. The models are available now and we generally have some in stock although they are selling quickly! You can find all the variants on our store website at http://www.eurorailhobbies.com/erh_list.asp?erh_find=stopfexpress (non-powered/motorized kits are also available as Kibri models).